Wills Are For Us Too! Hey RLD Family! I took a bit of a summer hiatus..but I’m baaaack! It’s time to explore the importance of wills, especially for people of color. This is my first piece published for the blog The 94 Percent. Aretha Franklin. Prince. Bob Marley. Barry White. Marvin Gaye. Tupac. The list of celebrities of color that have died without a will goes on and on. As we grieve the latest loss of musical icon, the Queen of Soul Aretha Franklin, we should also take the opportunity to learn some lessons. Many in our community seem to think that wills are for white people. As a result, they do not seek the protections they need and often die intestate (without a will). This is dangerous for a lot of reasons. Please see the rest of the story here. Every Black History Month, I have done a series on this blog on the topic of “Legal Divas of Color”. The intent is to highlight African-American women who are doing great things in the legal field. Many serve as an inspiration to me to keep fighting the good fight and pushing the boundaries as far as they can go. It is also a reminder that the term “diva” is not a pejorative term; a diva is a woman who is strong, self-assured, and commands her worth. When one thinks of the state of Alabama, sadly what comes to mind is the long history of racism and segregation. One thinks of the work of Dr. Martin Luther King; the actions of brutal police officers; and the last state in the country to overturn miscegenation laws as required by the Supreme Court. However, Election Day 2016 showed that times are slowly changing in this southern state. 10 female attorneys of color rose to the highest positions that one can hold in the legal field in Jefferson County. The newly elected District Attorney is Lynneice Washington; and nine women of color were elected judges in Jefferson County. The nine new judges are Javan Patton, Debra Bennett Winston, Shera Craig Grant, Nakita “Niki” Perryman Blocton, Tamara Harris Johnson, Elisabeth French, Agnes Chappell, Brendette Brown Green and Annetta Verin. District Attorney Lynneice Washington ran on a progressive platform of reforming/reducing the use of the death penalty, creating alternatives to incarceration for low level offenders, and creating a citizens-police advisory board. In doing so, she defeated the incumbent who had been appointed to the position after the retirement of his successor. These wins are even more significant when you look at the fact that the current administration carried Alabama, and defeated Hillary Clinton resoundingly. In this day and age, there seems to be a resurgence of the “tough on crime” rhetoric coming from the Justice Department and the White House. These policies have proven to be ineffective, leading to mass incarceration and no rehabilitation to be found in the criminal justice system. Now, there is a rise of a more progressive approach to criminal justice, which has shown to be effective in reducing recidivism and integrating people back into their communities. This is why it is more important than ever to elect progressive district attorneys and judges so that the whole defendant is being considered, as well as what is right for the victim, and the community at large. Local politics have become more critical in criminal justice than national policy. Groups such as the ACLU, and activists such as Shaun King are mounting voter education campaigns on this critical issue. The wave of power seen in Jefferson County, Alabama is absolutely historic. I look upon these wins as hope for the future! Congratulations ladies for being Legal Divas of Color. 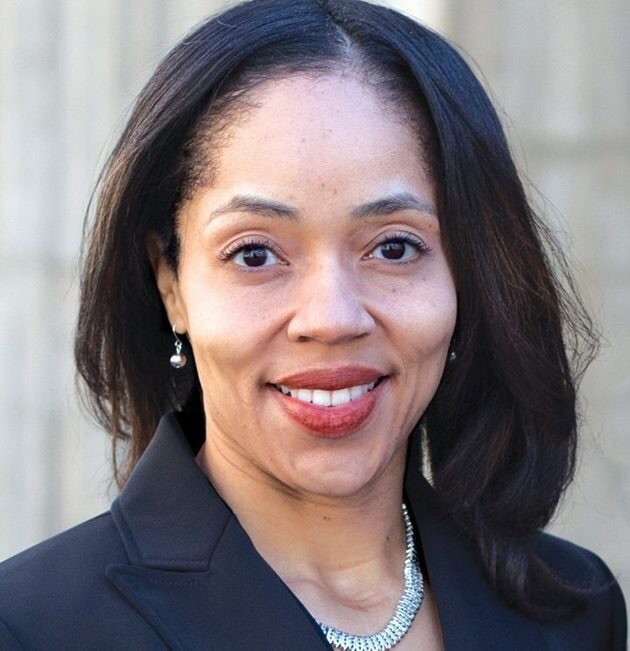 Please see the bios of the nine judges here as well as a great piece detailing the District Attorney Lynneice Washington’s plans for the future of her county. Before We Wrap — A Quick Rewind! I think the theme for 2017 was WTH??? Definitely life as we knew it changed dramatically. It was a mixed bag — we saw a rise in hatred, but we also saw a rise in people fighting back. People raised their voices as a collective to say “this is not what America stands for”. Now that the year is coming to an end, I actually had a moment to breathe, and acknowledge that my posts have not been as consistent as I would like. No excuses – just reality! My new job at the ACLU of Florida has been amazing. With it, I received a very steep learning curve, of which I am still on the front side. However, I am learning from the best team in the country, so hopefully I’ll make more strides next year! The transition from prosecutor to full time social justice warrior has been interesting. I miss the courtroom and being able to work with victims of crime. But a whole new world has opened up to me. I get to speak regularly on issues that I care deeply about, with no fear of repercussions. I can keep it “100”, which is so refreshing. I’ve been writing for work as well — check out my death penalty piece in the Tampa Bay Times, as well as my work in support of State Attorney Aramis Ayala’s discretion in death penalty cases. In the process of this new journey, I have not been able to share as much as I would like to on the blog. There is also an emotional piece. When I was a prosecutor, discussing social justice issues was not my main job. I infused it when I could, but it was not a daily act. Now that it is my job, and in the current toxic environment, it’s become harder, and sometimes exhausting. It’s no longer about educating folks on the system. It’s now having basic discussions like Nazis are evil, pedophilia is a crime, and we need to believe victims. It’s not about debating the finer points of policing. I’m now having to discuss my basic humanity as a person of color. It’s left me like WTH? How did we get here? But we were always here. It was artfully hidden by pretense, political correctness and the false sense of complacency after the election of President Obama. I keep fighting, keep resisting. I pledge to you to continue to bring you quality content when I can. But, the new year awaits — one of my goals is to focus more on writing — not just for RLD, Huffington Post and Blavity, but for newspapers as well. In order for me to grow as a writer, I need to be more intentional about how I work. Stay tuned! Before we close the year that was, let’s take a look at the top 5 pieces on the Resident Legal Diva for 2017! Be sure to click the link in the title to see the original post. 5. I’m Angry and Ready, Now What? This piece was in response to folks saying to me “Melba, what can I do? How can I fight?” These resources will be evergreen for the next few years. I shared my personal experience with sexual harassment, which was super tough to do. I realized that I’m a wee bit more of a private person than I first thought; but it was critical (in my opinion) that more voices be heard. It originally appeared in Blavity, and received a ton of feedback wherever it was shared. As Gabrielle Union stated, and as we learned from the revelations coming from the floor of the Ford factory, sexual harassment is not a rich white woman Hollywood problem. It is a disease of power and entitlement — which can take many forms. #BlackWomenAtWork was trending on Twitter, and many of us shared experiences of how some folks can be dismissive or downright insulting of our abilities, I shared how “you’re so articulate” is not a compliment — it’s backhanded at best and based in the stereotypes of where or how a woman that looks like me should be in life. 2017 saw the first African American elected prosecutor in Florida take office. She took the stance that she will not seek the death penalty in any murder case in her jurisdiction. Governor Rick Scott promptly took away her death penalty eligible cases, and the legislature later cut funding for her office. I believe that his was a gross overreach of his power — it should be the voters who decide what direction their community and their public servants go in. Prosecutors are given wide discretion for a reason; re-election (or not) is the way to send a message as to what is acceptable. I shared my disturbing encounter with a law enforcement officer in the Huffington Post as well as the RLD. It was my personal reminder that following the rules to the best of your ability does not guarantee your safety as a person of color; this is NOT the way it should be. Thank you to each and every one you who have supported, commented, read, shared, and suggested post ideas. As I enter my 5th year of the RLD, I look forward to making it stronger while continuing to educate folks on life and the law! If you have a question or a topic you want me to write about, tell me in the comments or contact me. A version of my piece appears in Blavity, check it out! In a time where a day seemingly cannot go by without some sort of political calamity, how can one get through this? Those who see and feel injustice are having a tough time. I’ll put it out there – I’m exhausted. Having seen the good, bad and the ugly in the criminal justice system, I have now elevated my work on social justice issues to a wider scope. I feel it is incumbent upon me as an African American female attorney to lend my voice, as well as my knowledge, for the betterment of all people everywhere. In doing so, you take on the pain of the struggle. If you do not internalize it in some way, then you may need to check your pulse to see if you are still alive. Maybe for some folks, yes; for social warriors, no. In order to center yourself, you have to take a break. Why? Because your effectiveness diminishes as fatigue sets in. Stress literally kills. Skipping meals, or eating fast food regularly is not a good idea. I like McDonald’s fries as much as the next person, but as we saw in SuperSize Me, a regular diet of this is not sustainable. Additionally, it will wreak havoc on your energy levels and your mood. The topics we are dealing with regularly are painful as it is – the wrong nutrition will make an already short fuse even shorter. Make a conscious effort to eat regularly, and eat real food. I’m the first person to say I don’t get a runner’s high. I mostly get the runner’s ouch. But put me in a spin class with a solid playlist (shout out to Allison, Johanna and Reed at SoulCycle), and for 45 minutes I am in another world. I leave sweaty, less stressed, and ready to take on the day. Find what works for you – if you’re in Florida like me, a long walk on the beach is a straight up spiritual experience. If not, basic calisthenics at home, an internet based workout (there’s tons of videos on YouTube, as well as more specialized options), or hitting your local gym will go a long way in allowing you to de-stress, clear your head, and release some of the anger that accumulates. Don’t let budget be a hindrance – close your door, and dance like mad to 3 of your favorite songs in a row. That short break may be enough to release some toxicity. You need to have positive people around you in your personal life. Each of us needs to have that crew who you can laugh with, be totally silly, and just let your locs down. These are folks who lift you up, infusing you with renewed energy. If those folks aren’t around you, you may need to take a serious look at your circle and make some changes for your sanity. Take a day at the very least each week , or the entire weekend if you can, and totally detox. My friend is a strong proponent of #UnpluggedSundays, where she signs off social media Saturday night, and does not get back on until Monday. Look, whatever craziness that is coming from the White House will be there tomorrow. Just take a day, and focus on friends and family. Focus on you. Binge watch Real Housewives – anything that does not require deep thought. It may be tempting to self medicate by having that extra drink, or turning to legal (or illegal) drugs to escape. At the end of the day, the world’s problems will still be there when you wake up. And now, you’re awake, mad, and have a hangover. Enough said. Also, dependency/addiction has a tendency to creep up on you. Recreational use can turn to habitual use in the blink of an eye. I’m not trying to pull a Nancy Reagan (more of a Grandmaster Flash), but please don’t start down a path that will only cause pain. Nancy Reagan in her 1986 “Just Say No” campaign. For historical purposes only…. Since Charlottesville, I’ve changed my screensaver at work to alpacas. Why? Because looking them calms me down. I can minimize my screen, look at the cuteness, and then re-engage. Music is a huge help too. Lately I’ve been rocking Damien Marley. His social commentary, coupled with great reggae beats and a sharp lyrical style keeps me focused when the day is long. Public Enemy, while accurate, makes me angry. As my friend Ken reminded me today, James Brown is a good bet. You get inspired, proud, and motivated. How could you stay stressed after seeing these sweet little faces? Being part of the resistance is tough, but don’t let it destroy you. Make a conscious effort to release your stress — you are needed! What works for you? Please share in the comments. The video of State Attorney Aramis Ayala being stopped by police has gone viral. This shouldn’t be surprising: Ayala is the first African-American state attorney in Florida, and she is experiencing heightened scrutiny for her stance on the death penalty. Ayala is currently in a legal battle with Florida’s governor who, after she made her stance public, reassigned close to two dozen of her death-penalty-eligible homicide cases to another state attorney.